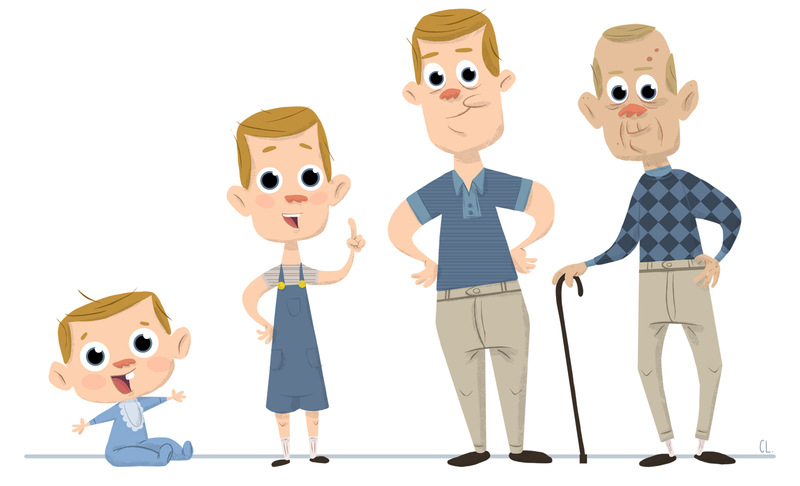 For the last new assignment in my Character Design class, we had to show a character's age progression from toddler to child to adult to old person. Since I've been busy with the maquette that I also have to do for that class, I didn't have much time to toy around with this assignment. So I went with something simple and graphic, inspired once again by the awesome Aurore Damant. I really enjoy her simple style and shorthand for anatomy.